Telstra have announced seven finalists for the Telstra Business Woman in Asia Award from Hong Kong, India, Malaysia, and Singapore. These seven women represent the best of the region’s female leaders from both the corporate and not-for-profit sectors. 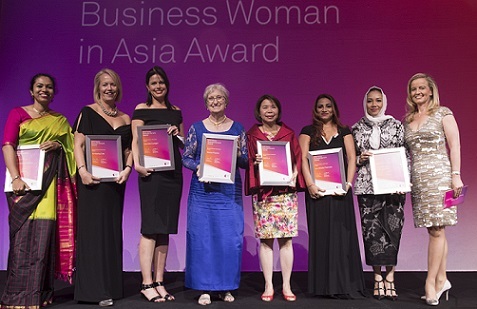 Now in its second year, the Telstra Business Woman in Asia Award has this year expanded its criteria to include female entrepreneurs and women from not-for-profit and social enterprises which increased the number of nominations for the Award. “These finalists have followed very different paths to business success, but they have all shown determination, innovative thinking and exceptional leadership to deliver real business impact,” Mr Burns said. The finalists for the Telstra Business Woman in Asia Award will join the 2017 Australian State/Territory winners in Melbourne for judging on Monday 20 November 2017, followed by the National Workshop on Tuesday 21 November and a Gala Dinner on the same night. As the Head of English in the Canadian pre-university programme at Taylor’s College, Anne Tham was baffled by the fact that, despite 11 years of learning English, her students arrived at the college lacking vital communication and critical thinking skills. 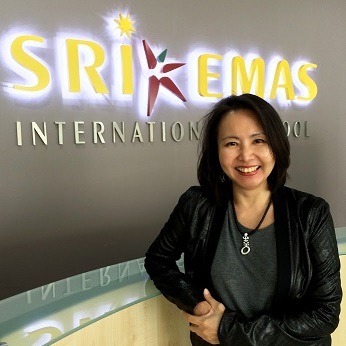 Anne’s solution was to launch English classes in her own home – classes that, in the 22 years since their original inception, have flourished into ACE Ed-Venture Group’s multiple learning centres and two international schools, both listed under Cambridge Strategies’ Innovation 800 as “Best Practice Pioneers”, and one holding the title of Malaysia’s first entrepreneurial school. Anne has created an education system that develops confident, creative, innovative, entrepreneurial and future-ready students to carve out their niche in the world. 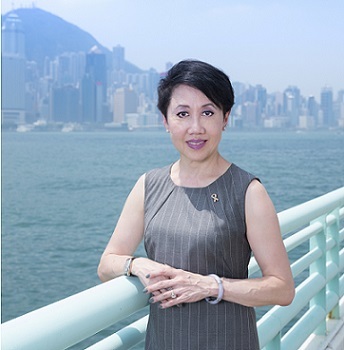 Fern Ngai is CEO of Community Business, a not-for profit organisation dedicated to advancing responsible and inclusive business practices in Asia. Fern leads the organisation’s efforts including conducting pioneering research, facilitating corporate networks and driving impactful campaigns, in a co-ordinated effort to mobilise the business sector to have a positive impact on people and communities. Under Fern’s leadership, Community Business has expanded its offerings, established a subsidiary in India, and launched the LGBT+ Workplace Inclusion Index; the first benchmark for LGBT+ workplace inclusion in Asia. In addition to running Community Business, Fern is a board director of KELY Support Group and a Steering Committee member of the 30% Club Hong Kong. 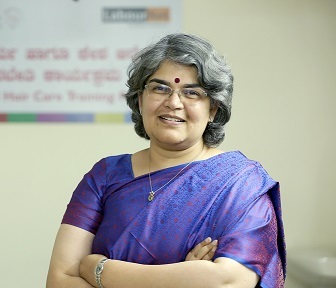 Gayathri Vasudevan has been a consultant for organisations such as UNICEF, United Nations Development Program (UNDP), the North American Aerospace Defense Command (NORAD) and Work Bank on development initiatives for the underprivileged. She was an associate with International Labour Organisation (ILO) before co-founding LabourNet Services in 2006 with a vision to enable livelihoods and enhance quality of life. Gayathri has held several advisory posts in the Government and currently, is member of Recognition of Prior Learning Projects, Directorate General Training, Ministry of Labour & Employment; Confederation of Indian Industries, National Skills Committee & National Sports Committee. She has more than 30 publications in the areas of labour & employment and gender issues to her credit, and was honoured with Social Entrepreneur of the Year award conferred at the India International CSR Conclave (IICSR) 2017. Geeta Dharmarajan comes from a family of bold women – her social activist grandmother and compassionate parents were the ones who kindled Geeta’s interest in grassroots education. 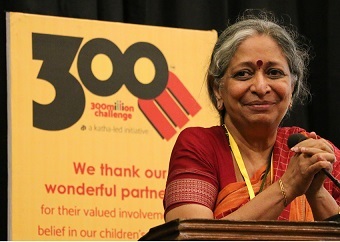 Over the past three decades, Geeta has channelled her own love of learning by bringing India’s 2,000-year-old storytelling, theatre, dance and music traditions, into her non-profit organisation Katha, an education model which helps get children living in poverty into reading and quality education. Geeta has fundamentally changed India’s education landscape. In establishing schools, reading initiatives and academic research projects, she has empowered teachers, students and communities throughout the country to see learning as an escape route to a better life. Michele Lai believes that kids are our future and every child should be given an opportunity. 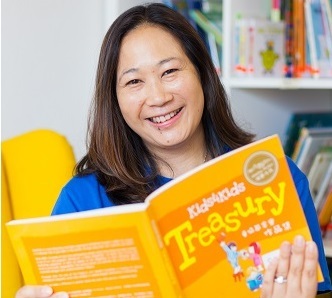 After having two of her own, she decided to move away from her successful career in marketing and focus on helping the children of Hong Kong make an impact on their community. In 2008, she set up Kids4Kids, a not-for-profit organisation that helps young people develop a sense of social responsibility by enabling them to volunteer for a range of causes. Over the years, Michele has taken on a number of roles within the business. But her biggest achievement lies in shifting its reliance from individual donors, to a number of multi-year grants and corporate sponsorships. 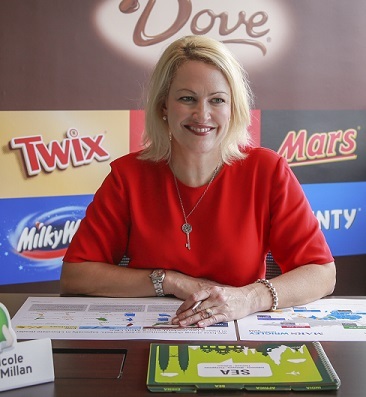 Mars was the company that launched Nicole McMillan’s career – one that has seen her work for some of the world’s biggest food and drinks brands, including Pepsico, Arnotts and Fosters. And now she’s come full circle – back under the Mars umbrella as the Vice President of Marketing AMEA (Asia, Middle East and Africa) at Mars Wrigley Confectionary. Nicole heads up a 90-strong team across the company’s key brands including Snickers, M&M’s, Twix, Extra and Skittles. Since her appointment, Nicole has used her nurturing and supportive leadership style to overhaul the team’s siloed operating structure and instil a sense of ownership in employees to arm them with the talent and confidence to grow. The result has been a 20% boost to employee engagement levels and a reputation that sees Nicole attract the best talent in Mars globally. Having studied business at a small regional university in Queensland, Saskia Groen-int-woud seized every possible opportunity to develop a global career. 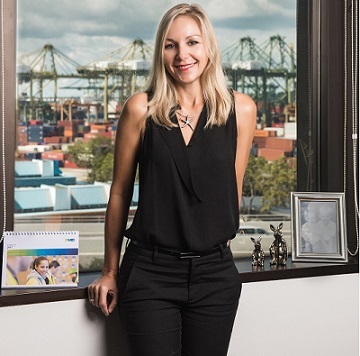 Having worked her way up from being a small business owner, she is now Asia COO for international logistics provider Damco. Saskia brings disciplined attention to driving bottom line performance, from the way the business interprets customer requirements, to how it procures and manages the efficient execution of its services. Her appointment has supported the company’s financial turnaround, from a $300m loss in 2014 to turning a profit from 2016 onwards.